As a post exam treat, I took the liberty of doing a therapeutic binge order on Amazon of books. I always read a lot in the Summer. New-found spare time and the constant commutes out and about means it just makes sense to read more. I just finished 1984, which was incredible and I've got a review of the play coming soon. 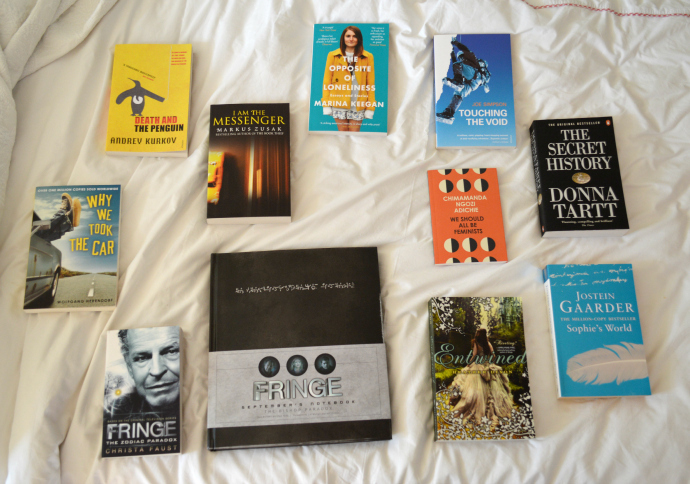 I bought an eclectic mix with everything from classics to YA novels, a book on feminism and even a collectors item from my favourite TV show, Fringe. I will make sure to document my progress over the Summer and let you know my opinions on each! My to-read list is ever-growing, so please do share your recommendations in the comments! I really want to read 'we should all be feminists', I hope I can do it this summer too! Summer is the best time to read since we finally have the chance to just relax and delve into some great books! I really wanna read The Opposite of Loneliness and I Am the Messenger too, they sound like such good books! Hope you're having a lovely day! !